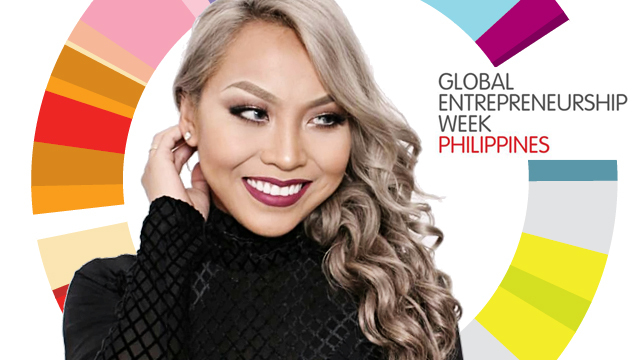 Hershey Hilado, one of Australia’s most influential millennial millionaires who overcame a childhood of abuse and homelessness while growing up in the Philippines, will speak at a conference in Miriam College in Quezon City to celebrate Global Entrepreneurship Week (GEW) on Saturday, November 18, 2017. GEW, which began in 2008, is the world’s largest annual celebration of entrepreneurship. More than 10 million people in over 160 countries on six continents are expected to participate in this year’s events. This year’s GEW conference in the Philippines, hosted by Miriam College in Quezon City, has a global theme "Failing Forward" and sub-theme for its student activities "Responsible Entrepreneurial Leadership". The events, which will last the whole day, are open to students of all colleges and universities on a first come, first served basis. Apart from Miriam College, GEW events this year are also sponsored by Young Entrepreneurs Society (YES) Philippines, led by Henry Ong, one of the country’s leading personal finance experts who also writes a weekly column for Entrepreneur Philippines, and the Society of Junior Entrepreneurs and Transformational Agents, Experts and Stakeholders, a student organization in Miriam College. Organizers are urging each school to send 10-20 students and teachers. Student entrepreneurs among the participants are encouraged to bring product prototypes for the Festival of Venture Product Exhibit and Fair. They are also enjoined to take part in the Venture Pitch Competition for entrepreneurial solutions to longstanding problems in the Philippines. Cash prizes await the winners from 3M, a sponsor of the Miriam College UNESCO Entrepreneurship Education Network. In addition to Hilado, other entrepreneurs speaking at the conference include Celia Alamo, founder of advertising and creative design company Brownroots; John Michael Lu, CEO of real estate consultancy firm Beyond Investments Manila; and Maura Alvero, co-founder of Philippine handwoven fabric designer Vela Manila. Entrepreneurship advocate and writer Ezra Ferraz, who just published a book on successful startup exits in the Philippines, The Finishers, will also speak. Entrepreneur Philippines is a media partner of GEW for the event.